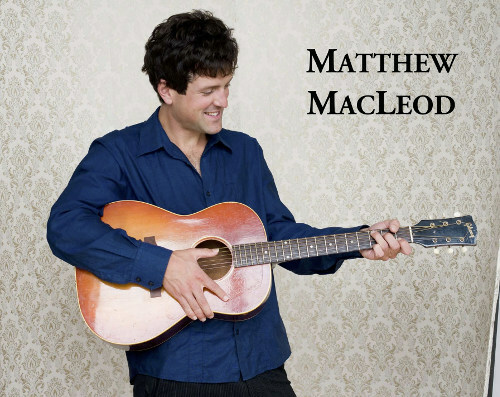 Matthew MacLeod is a singer-songwriter, guitarist, ukulele player and teacher. He has performed in festivals, theaters and coffeehouses across Canada, Scotland and Australia. In 2014 he was a finalist in the Shelter Valley Folk Festival's Local Songwriter's Contest. Matthew has shared stages with The Pierre Schryer Band, Jory Nash, Aengus Finnan, Michael Peter Smith, Rachel Ries and Tim Britton. Back when Pluto used to be a planet he hosted an open stage at Cafe Paradiso in the mid-west.